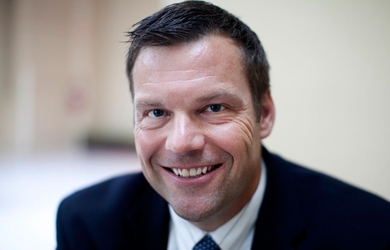 Kris Kobach, the Kansas secretary of state and architect of anti-immigrant and voter suppression measures copied across the country, called same-day voter registration a “travesty” on a recent radio program, portraying his restrictive voting laws as necessary to prevent various mythical voter fraud schemes. 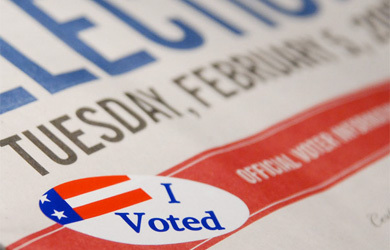 On his weekly radio program on Kansas City’s KCMO on October 25, Kobach took a call from a listener who presented a somewhat convoluted scheme involving performing facial recognition scanning on everyone who votes and going to the houses of people who cast ballots by mail in order to scan their faces, all in the name of preventing voter fraud. When Kobach told the caller that this plan might be a little too costly and complicated to really work, the caller said that desperate times call for desperate measures, citing debunked voter fraud conspiracy theories, including a false story about Woods County, Ohio, and a version of the perennial “people bused in from a big city to vote fraudulently” story, this time one that appears to have originated on the conspiracy theory website Infowars. Kobach is currently attempting to purge 37,000 people from Kansas’ voter rolls for failing to provide a birth certificate, passport or other proof of citizenship when they registered to vote.